NEW! 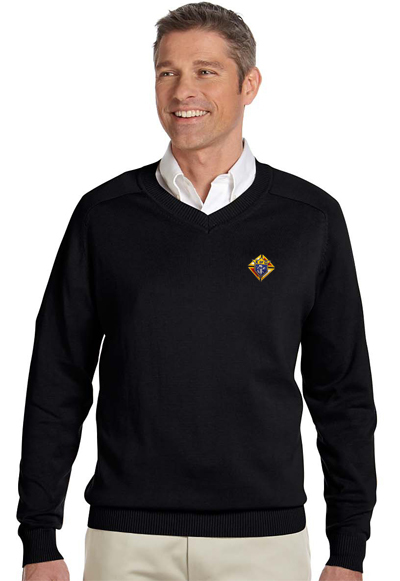 ...K of C V-Neck Sweater by Devon & Jones... Outstanding quality you can trust! . Embroidered emblem. Color:Black.